In Pragati How old is Proto-Dravidian? According to linguists, there is a relation between the Sanskrit word satam, Latin centum, Old Saxonhunderod and Lithuanian simtas; these words derived from a common word in an ancestral language named Proto-Indo-European (PIE). The word in this theoretical ancestral language was deduced by listing the daughter terms and applying some linguistic sound change rules to figure out if the daughter terms were cognates of the mother term. Using this technique, a substantial vocabulary has been constructed for PIE, which is assumed to have been spoken between 4000 – 3500 BCE to 2500 BCE. In India, about 75 percent of the population speaks a language that belongs to the Indo-European family (Hindi, Bengali, Marathi among others and 22 percent speak languages belonging to the Dravidian language family (Telugu, Tamil, Kannada and Malayalam). While Indo-European languages are spoken mostly in North India, Dravidian languages are spoken in South India. This fact, along with some interpretations that the Indus-Saraswati script is Dravidian, has led to a theory that the Indo-European speakers came from outside India and pushed the Dravidian autochthons to the South of the peninsula. This is a contentious issue even now, popping up in elections speeches by Dravidian politicians who like to split people as ‘us’ versus ‘them’. In the midst of this Aryan controversy, as it is popularly known, comes a new paper which claims that there existed a super linguistic ancestor, older than Proto-Indo-European, around 15,000 years back. The authors identified a class of words whose sound meaning lasted long enough to retain traces of their ancestry between language families separated by millennia. While half of the words in various languages are replaced by a new word roughly every two to four millennia, the authors argue that there are some ultra-conserved words that live as old as ten to twenty millennia. These words, which include adjectives, pronouns and special adverbs (Thou, Not, To Give, Mother Fire), are spread over such diverse language families as Indo-European and Dravidian. Another interesting piece of information from the paper is regarding the date when Pro-Dravidian split from the ancestral language and when Proto-Dravidian speakers moved to the subcontinent. One of the first language families to split from this Eurasiatic ancestor was Proto-Dravidian, which was around 14,000 years back, much earlier than Proto-Indo-European. These Proto-Dravidian speakers expanded from Central Asia to South Asia and reached a region at the border of Afghanistan and Pakistan from where they were displaced by Indo-European speakers much later. 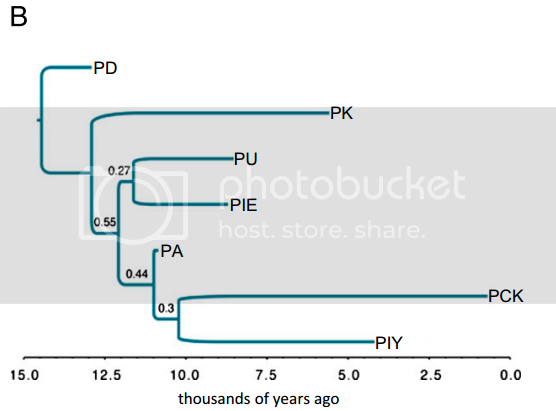 Though the model does not specify when the Dravidian languages evolved from Proto-Dravidian, it is clear that the evolution happened in the subcontinent. There are some who believe that Dravidian speakers lived in the Indus-Saraswati area until the invading Indo-European speakers displaced them and this model augments that theory. So far there has been no consensus on the origins of Dravidian and only speculation on the time and place of the distinctive origins of its speakers. Some scholars have put their origins around 4000 BCE in Northeastern Iran from where they moved to India. However there have not been any traces of Dravidian languages outside India, which makes the external origins of Dravidian, a challenge to explain. Regarding Proto-Dravidian itself, a date of 3000 BCE was previously suggested which others claimed was in the realm of ‘guesswork’. But the new paper not only suggests a much older time frame for Proto-Dravidian, but also a Central Asian origin which disagrees many previous theories. For example, one theory argues that there was no Dravidian influence in the early Rig Veda; Dravidian lone words appear only in subsequent stages suggesting that Dravidian speakers arrived around the same time as the Indo-European speakers in North-West India. With the new discovery, does this paper change the chronology of events and change the narrative of Indian history? It is too early to get into the impact of an earlier date for Proto-Dravidian as other linguists have panned the paper; it seems the paper has a “garbage in, garbage out” problem. The semantic looseness with which the reconstructions have been made of Indo-European words has been extreme and does not agree with the consensus. 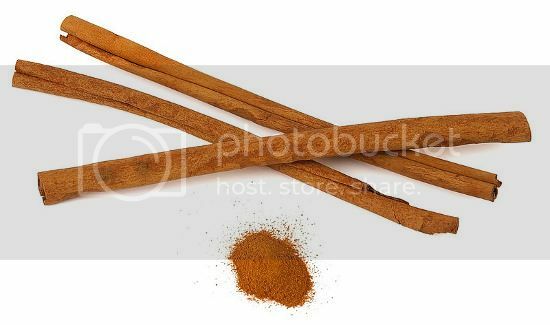 For example, taking one of the reconstructed words, one linguist was able to show that the word had the meaning “with the teeth, biting together” in Greek and “reach, strike” in Sanskrit. The problem was not just with the semantic interpretation; the Sanskrit word that was reconstructed did not match with the word in the Indo-European database. Since there are doubts on some reconstructions, the relationships among such words in different family trees are questionable. But the bigger problem is this. After five to nine millennia, most words change so much in their meaning that it is hard to figure out other words, which originated from the same ancestor. Sometimes you don’t have to go that far either as words change quite a lot within a couple of millennia. Thus a sentence in one language family would be incomprehensible to a member of another language family even if they derived from the same ancestor as seen from the difference in meaning in Sanskrit and ancient Greek of the same word. Due to all this, critics have mentioned that the paper is of poor academic quality, displayed poor knowledge of linguistic geography and linguistic history. Thus even though this paper claimed a sensational finding, the origins of Proto-Dravidian and Dravidian continues to remain in the realm of guesswork. Pagel, Mark, Quentin D. Atkinson, Andreea S. Calude, and Andrew Meade. “Ultraconserved Words Point to Deep Language Ancestry Across Eurasia.” Proceedings of the National Academy of Sciences (May 6, 2013). doi:10.1073/pnas.1218726110. Singh, Upinder. A History of Ancient and Early Medieval India: From the Stone Age to the 12th Century. 1st ed. Prentice Hall, 2009. “Do ‘Ultraconserved Words’ Reveal Linguistic Macro-Families?” GeoCurrents. Few years back, it was believed that the volcanic eruption of Mt. 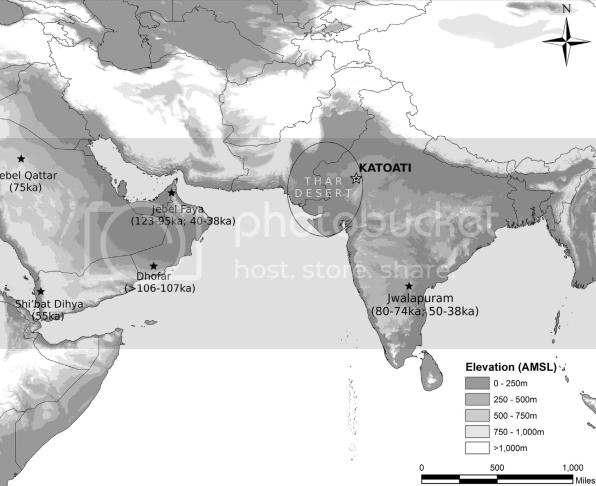 Toba (74, 000 years back) affected Indian population catastrophically, but evidence from Jwalapuram in Andhra Pradesh indicated that Indians were a tough lot. Going further back in time, we now find new evidence regarding the path the Out of Africa humans took as they reached India. One of the theories suggest that the early humans took a coastal route from Africa and reached Kerala where they made bird sounds. A new paper now suggests that the humans actually lived in Thar desert around 95,000 years back. During that period, Thar was not that arid, had fluvial activity and hence vegetation. Thus rather than using the coastal route, humans may have used a continental route and the river network to travel. Another interesting find is the similarity of the tools used by the people who lived in Jwalapuram and in the Thar region and it suggests technological continuity between people who lived in North-West India and South India. That’s not it. There were similarities between tools found in Thar and Sahar and Arabia and it could either be due to independent technological evolution in those places or due to cultural connections. It looks like Thar desert has now become an important region in the study of the dispersal of humans from Africa to rest of the world.